Ripple is also one of the biggest cryptocurrencies in terms of market capitalization. It is also getting popularity day by day. So, the price of XRP is also going high. Bitcoin is the most expensive digital currency, but many people have also started investing in alternative cryptocurrencies. Ripple is one of those. Ripple is a digital currency and refers to the technology used in payment network for digital financial transactions. This is the reason Ripple has good future. Ripple is also known as XRP. It was co-founded by Jed McCaleb and Chris Larsen and was released in 2012. 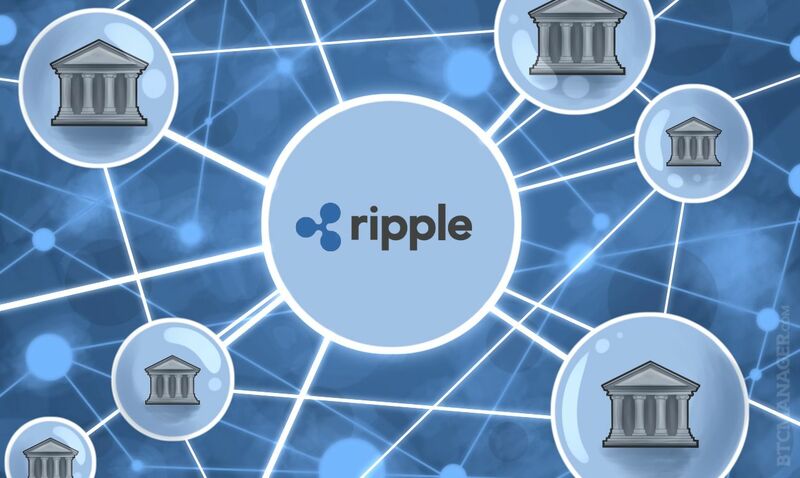 Ripple acts as a medium currency to other digital currencies and treats all currencies equally. You can easily buy Ripple from different cryptocurrency trading or exchange platforms. Use Changelly for exchanging cryptocurrencies. If you are looking to invest in a cryptocurrency other than Bitcoin, you can think of buying XRP. Ripple is one of the best cryptocurrency to invest in 2018. If you are looking for Ripple Wallet, it means you have either bought Ripple or thinking to buy. If you are still thinking, you should go and buy. In case you have already bought Ripple (XRP) or planning to buy some, you need a good Ripple wallet to keep your XRP safe. Ledger Nano S is a hardware wallet that also supports XRP. As I already mentioned in previous articles, hardware wallet is the best way to keep your cryptocurrency. It offers the best security, ease of use, and you can carry it with you anywhere. Not just XRP, it also supports Dash, BTC, ETH/ETC, Stratis, and Zcash. If you want to hold cryptocurrency for a long time, you must have a hardware wallet. Storing digital currency in a hosted wallet for a long time is not safe. Storing on your system is also not as safe as you think. So, buy a hardware wallet and keep your private keys which control your XRP. Gatehub is a hosted wallet where you can keep XRP. You can also directly buy Ripple from GateHub. You just need to verify your KEY and fund your wallet with either EUR or USD. Then use this fund to purchase Ripple. It also keeps on showing the real-time stats and the current market trends. So you can check everything before buying or selling XRP. It is worth to note that you should not forget to write down the recovery key and keep at the safe place. That will help you in recovering your XRP wallet if you ever forget your Gatehub password. Coinpayments is also a good multi cryptocurrency wallet with support to XRP. It supports over 65 altcoins and support for more will be added soon. The website is not just a cryptocurrency wallet but it also offers payment gateways for merchants to accept payments in cryptocurrencies. It is also worth to note that CounPayments created a mess when few users lost their ripple tokens due to a bug in its system back in June 2017. It can also keep other cryptocurrencies. Toast Wallet is a free opensource Ripple XRP Wallet. It is available for Android, iOS, Windows, Mac and Linux platforms. This cross-platform Ripple wallet is easy to use. If you are using this wallet, do not forget to take the backup of your Toast Wallet’s settings menu and keep it in a safe place. You will need this to recover your XRP if your device fails. With the time, more popular wallets will bring XRP support and make it easier for you to keep your XRP. But I always recommend you to go with hardware wallet and order Ledge Nano S to keep your cryptocurrency safe. Keeping cryptocurrency on your system, smartphone or hosted wallet is risky. CYber criminals are trying to hack hosted wallets and are spreading malware to steal cryptocurrencies from systems. So, keep everything with the best security. If you have anything to ask, you can always leave a comment. Do not forget to share this post with your friends and let them know about the XRP wallets.